During the tour we will see the main monuments in Paris: Eiffel Tower, Opera, Notre Dame, Panthéon, Musée du Louvre…! The city’s most beautiful avenues and boulevards: les Champs-Elysées, Avenue Foch and the most beautiful squares: Place de la Concorde, Place de l’Etoile…! The charm of the banks of the Seine and the Luxembourg gardens … the tour is a good start for your stay in Paris! We may stop several times for pics depending on the length of the tour. This bus ride is for those who, in addition to a classic city tour, want to know some of the places where famous people go when they visit Paris. In what areas do they shop ? What are their favorite places? The “must see and must go”? This bus ride is for history lovers, especially dedicated to all those who are interested in Finnish Golden age artists. 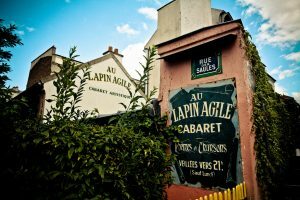 Akseli Gallen-Kallela, Ville Vallgren, Albert Edelfeldt… they came to Paris in seek of inspiration at the time when Paris was “the Mecca of Art”. We immerse ourselves in the Paris of the 19th century, where one heard the sound of horses’ hooves making their way on the Parisian pavement. We’ll recall the famous salons where the artists exposed their works, the cafés and bars where they would gather to drink even more than necessary. The stories will be peppered with amusing anecdotes on the look, the way of life and the friendships of all these artists we know so well who lived and loved passionately in the city of Enlightenment.